There’s a cute paradise of a nut shop in my neighbourhood that sells all manner of tasty nuts and dried fruits, they have these magical saffron and lime roasted cashews that are out-of-this-world delicious, and okra chips so addictive I’m slightly obsessed with them. 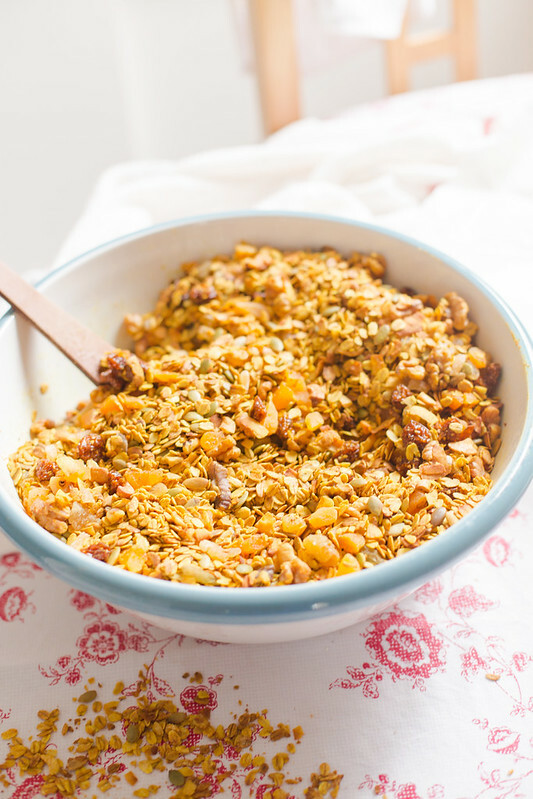 I knew this was going to be a nutty granola while mixing cashews, almonds and walnuts pieces into large flakes of rolled oats and steel cut oats. There was shredded coconut to be added too, and pistachios and sunflower seeds.